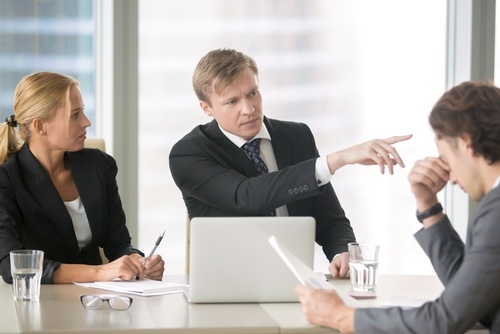 Retaliation manifests in both subtle and overt ways, so it’s important for employers to establish mitigation protocols and proactively monitor for red flags. Under federal law, it is illegal for employers to retaliate against employees for reporting illegal activities, complaining about discrimination or participating in an investigation or hearing regarding a discrimination complaint. It’s also illegal to retaliate against employees for taking leave under the Family Leave Act (FMLA) or asking for pay that’s warranted under the Fair Labor Standards Act (FLSA). In a 2006 case, the U.S. Supreme Court broadened what qualifies as retaliation. A forklift operator named Sheila White complained about gender-based discrimination from her immediate supervisor, who was suspended for 10 days and required to attend sexual harassment training. The employer, Burlington Northern & Santa Fe Railway, removed White from forklift duty and gave her standard track laborer tasks. She filed a complaint with the Equal Employment Opportunity Commission (EEOC), saying the reassignment amounted to retaliation and gender discrimination. Burlington suspended her without pay for insubordination. Later, Burlington reinstated her and awarded her back pay for the 37 days she was suspended. The suspension led to another EEOC retaliation charge. Provide a reliable avenue for submitting complaints or concerns. Distribute your organization’s anti-retaliation policy to all new hires. Train managers and supervisors on workplace ethics and laws banning retaliation and discrimination. Make sure employees understand that retaliation will not be tolerated and that violators will be disciplined. Respond to allegations immediately and investigate quickly. Communicate with the person who complained or reported wrongdoing and show you are taking the complaint seriously; this is an example of good investigation protocol in general. Reduce gossip by communicating facts to the workforce. Establish safeguards against post-employment retaliation. Survey employees on their attitudes regarding retaliation. Document everything. Take notes about the steps you regularly take to prevent retaliation. Keep confidential the information you receive about complaints. Retaliation is less likely to happen if fewer people know about the complaint. Ensure claims of retaliation are effectively tracked in the Employee Relations Management System. Remember that employer liability does not end when the worker leaves the company. 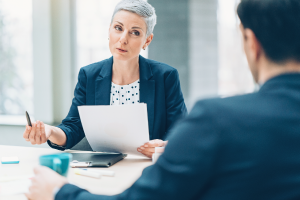 Because most anti-retaliation statutes protect former employees, employers must be careful when responding to reference requests, challenging unemployment compensation, filing claims against a former employee or evaluating a former employee who has reapplied for employment. If unfavorable to the former employee, these and other post-employment actions could result in a retaliation lawsuit. In a 1997 case, the U.S. Supreme Court ruled that the term “employee” includes former employees. Charles Robinson filed a discrimination complaint with the EEOC, saying Shell Oil Co. fired him from a sales job for being black. After applying for a job with another company, he claimed Shell gave him a negative job reference in retaliation for the EEOC charge. The purpose of the anti-retaliation laws is to ensure that individuals feel free to file legitimate and appropriate claims without fear of financial or physical harm. This protects the workers, but it’s also beneficial for employers to show that they treat all employees fairly. Avoiding discrimination and retaliation helps employers bolster employee morale, productivity and retention, all of which bring cost savings. 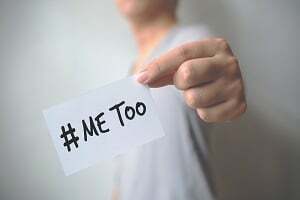 Did the #MeToo movement make a lasting impact on company policy and culture? We talked to HR leaders about changes taking place within their organizations. Your employees need to know you take their concerns seriously. Here’s how to be transparent in human resources while protecting people's privacy. Terminations are a hard part of managing, but if done correctly, they can help your business thrive. Here we explain 4 best practices for conducting terminations.